Low vision aids for writing can help you or your loved one maintain some independence in writing bills, signing documents or just for sending off a note. You might be surprised by some of these simple tips that will keep you writing notes, bills or letters. 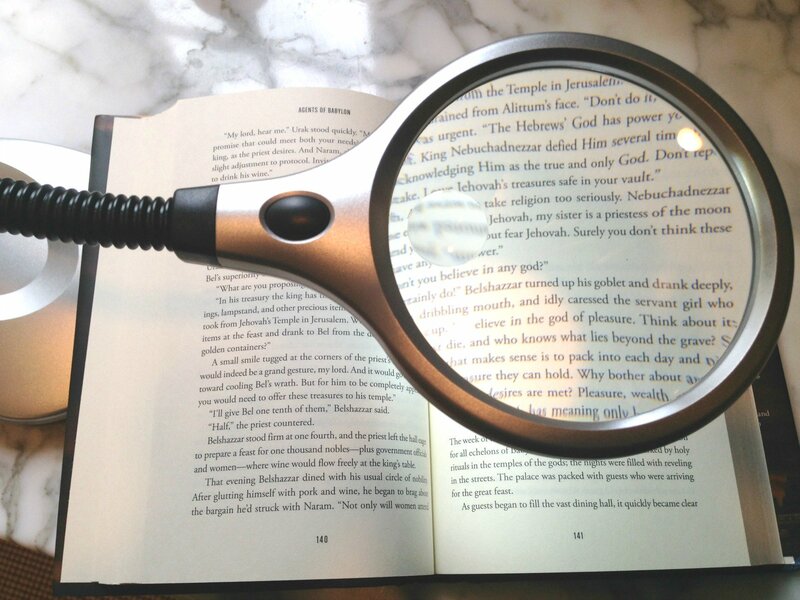 Get one that you can adjust and direct the light and magnifier close to your paper. A gooseneck feature or swing arm are the two types of lamps that allow the light to be adjusted and directed onto your paper work. Direct lighting and additional magnification will make writing easier. This pen is extra wide with bold, blank ink which makes it easier to see what you are writing. The dark and thicker lettering provides good contrast for better clarity. 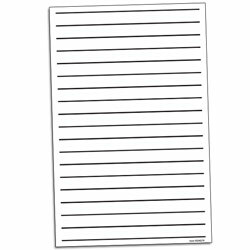 √ Choose paper that has bold lines and wider spaces between the lines. The dark black, thick lines make it easier to keep your writing straight. The wider spaces allow for using a thicker 20/20 pen. There are writing guides to place over the wide spaced paper to help keep one writing legibly. The guide is made from a sturdy plastic and helps to keep your writing within the guided area. Use it to write to-do lists or reminders for yourself or to send off a note to a loved one or family member. Most importantly - keep writing. Just like the saying goes "if you don't use it, you will lose it." If you stop writing you will lose your confidence and ability to write your checks, grocery list or notes to your loved ones. Try one of the many low vision aids for writing. Balancing a checkbook. taking care of bills and managing ones finances requires several different visual aids. Not only is it a strain to SEE bills or statements, WRITING can be a challenge as well. The two simple and low cost aids are a check writing guide and a large tip pen. Or you may also ask your bank to provide you with large print checks and check register. This set includes a plastic check writing guide, envelope guide and a signature guide. 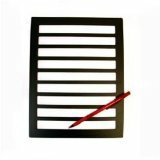 Twenty sheets of paper with bold, black lines make it easier to write notes or letters. 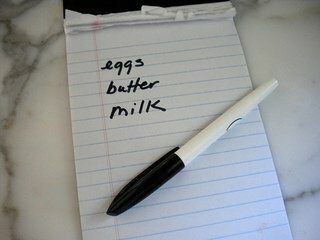 The 20/20 pen writes in bold, black ink making it easier to see what was written.